Here'a a dish that I've been making for about five years now. 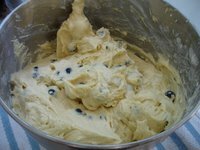 I don't recall where I got the inspiration or even if there was a recipe that I started out using, but over the years it's evolved. It changes from time to time, depending on what I have in my refrigerator, but it's always good. I imagine I started making because when I first met J, he was a vegetarian (gasp!) and I wanted something with some volume. Even though J is now a carnivore, we still enjoy these as much as ever. There are a couple of "must haves" in my stuffed mushrooms and the rest, as I mentioned, can be improvised based on what's available. Sometimes I use regular old button mushrooms, but when I want to make it a main course, I used the medium portabellas from Trader Joe's. The thing that always remains the same is this- cut the stems out of the mushrooms and dice. Heat a small sauté pan with a bit of olive oil, add garlic, diced onion, the mushroom caps, salt & pepper. 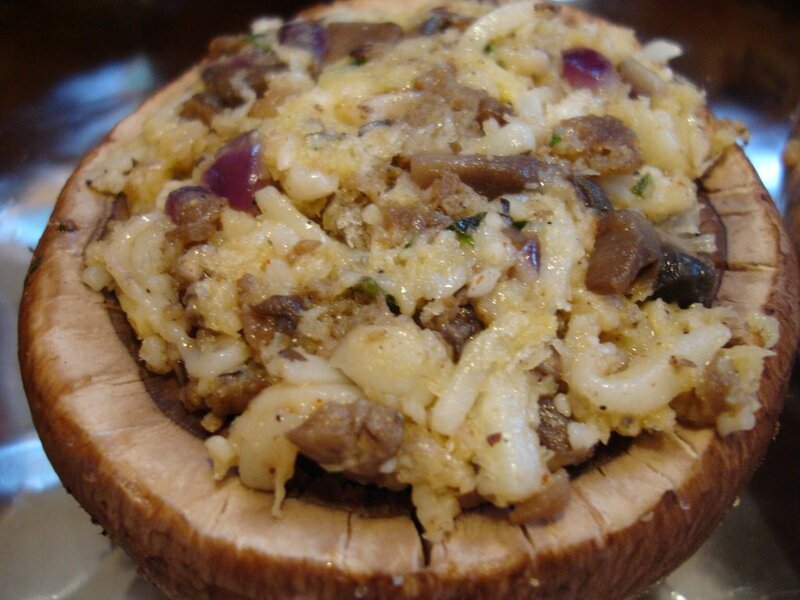 After you've sweated the onions and mushrooms, add a splash of Vermouth and let it evaporate. 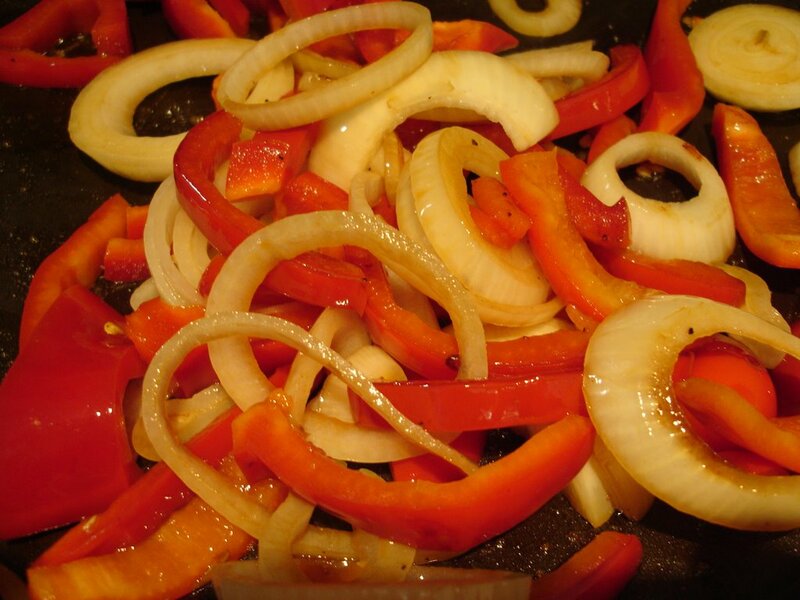 This is a key step and adds great flavor to the dish. Add a pinch of cayenne pepper and put the mixture into a bowl. From here on, you can pretty much dump in whatever you'd like, although you have to make sure you have something to bind it with. Last night, the mushroom caps were quite small and didn't make enough filling, so I added up a crumbled veggie sausage and some chopped green onion. Some sort of cheese is needed, so I added about 1/2 cup of shredded mozzarella and a couple of tablespoons of grated parmesan. I usually add some sort of cream cheese or sour cream but didn't have any. 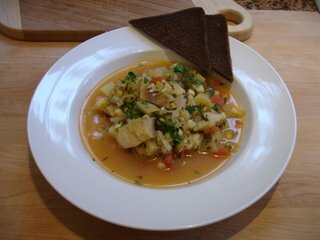 I did have some oregano and thyme left over from the fish stew I made the other night so I threw in some of that too. The mixture was quite crumbly so in went one egg and 1/3 cup of panko breadcrumbs. 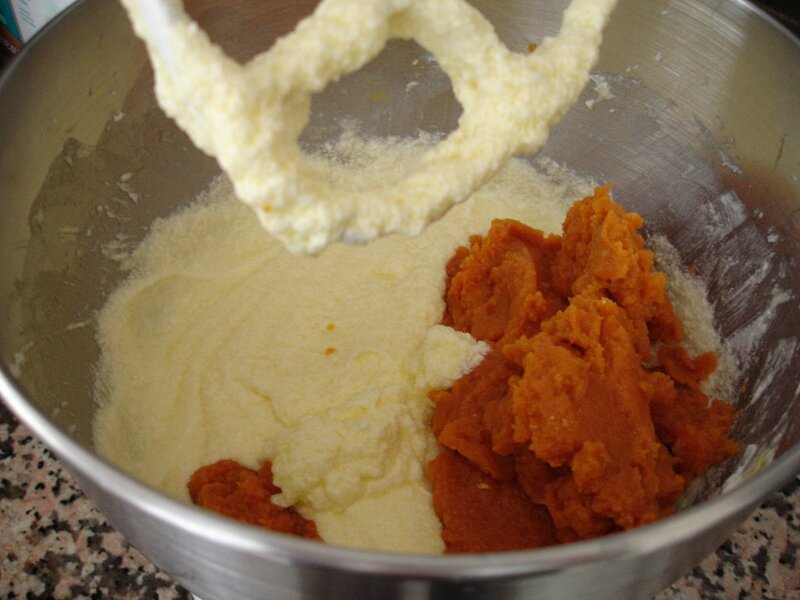 The mixture should just stick together when you pinch it between your fingers, which it did. Ready to stuff! Wait...is this photo supposed to be here? Shaved zucchini for salad.....be careful not to shave your fingers. 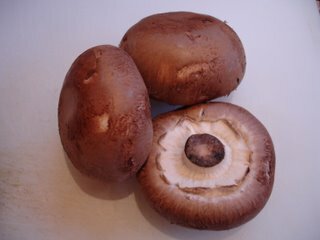 Since the portabellas were quite "meaty," I sprayed the unfilled caps with some olive oil and seasoned them liberally on both sides with salt and pepper. After packing some filling in each one, I dipped the tops in a whisked egg and then in some panko. A quick spray of olive oil on the top and they were ready to go into my toaster oven which is great for baking small things. Twenty minutes in a 400 degree oven later, they came out tender on the bottoms and crisp on the tops. Although I made six of them, they were quite large and three proved to be plenty for me. 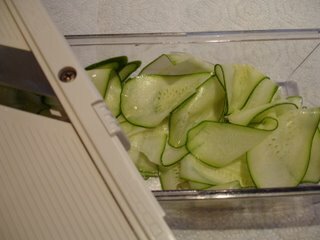 I added a salad of mixed greens and shaved zucchini garnished with parmesan cheese. Now I have three shrooms left to devour for another Dinner For One later in the week! 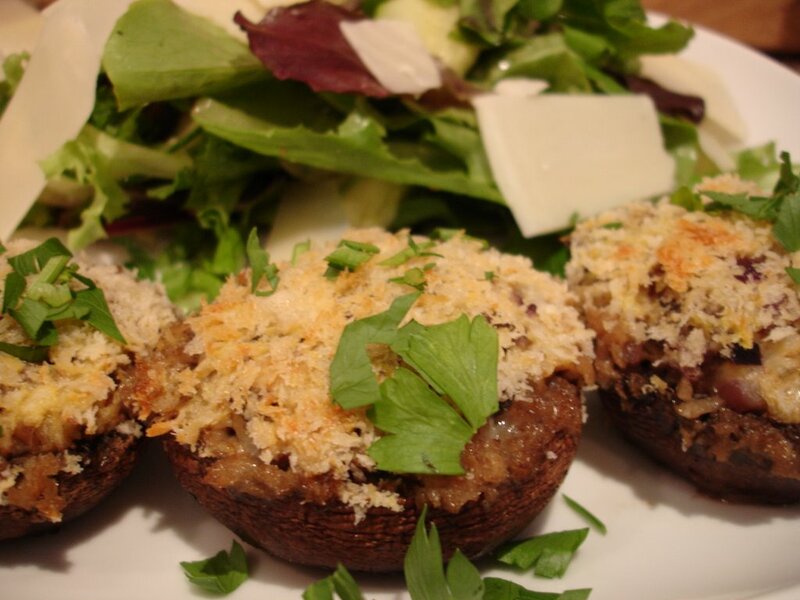 Out of all the things I have cooked over the years, I can say that stuffed mushrooms are the one thing I've made very consistently and that I always come back to wanting to eat. 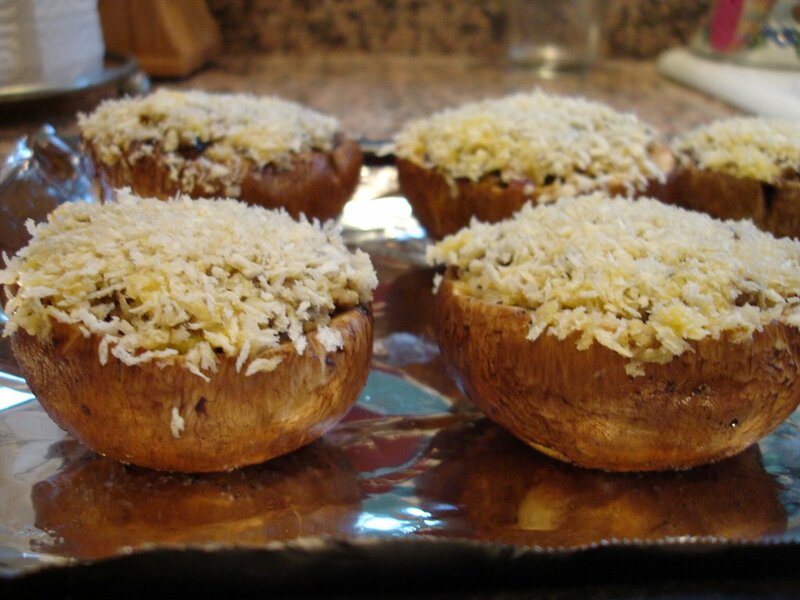 It's a hit with guests and, if you use the smaller button or crimini mushrooms, a great party appetizer. I did make these for a birthday party that I catered awhile back and they were a hit with the crowd. The best part is, you can use whatever you think suits your taste- use regular sausage if you like meat, add some diced bell pepper....most anything works in this dish. Er...is there enough CHEESE on your salad??? Hope you get a chance to try them! 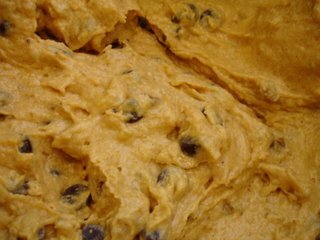 When I found this recipe for Pumpkin Chocolate Chip Loaf Cake in an old issue of Bon Appetite a couple of years ago, I just sort of ignored it. I guess the combination of chocolate and pumpkin had never even entered into my mind nor did it seem particularly appealing. Two years ago, however, when a coworker asked for some sort of pumpkin/chocolate treat (whodathunkit? 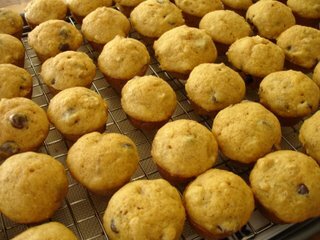 ), I remembered the recipe and whipped up a batch. The results? 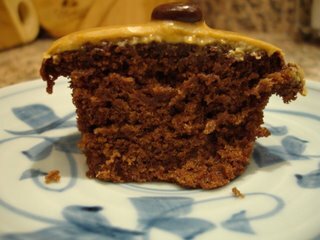 A super-moist, not-too-sweet and delicious cake that I've been making ever since. Who knew that the warm spiciness of pumpkin and the sharp bittersweet chocolate would be such a match made in heaven?? 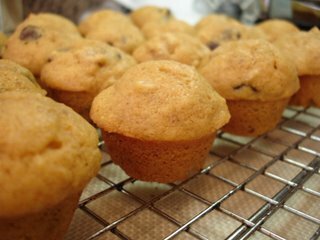 Since it's much easier to pass around individual serving sizes, I decided to make this recipe into many mini muffins instead of one loaf cake. For the last two Autumns, this being the third, I've made these to give to friends or coworkers to signal the arrival of the season. 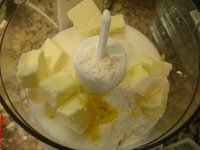 They are so easy to whip up, and the best part is the longer they sit, the moister they get! 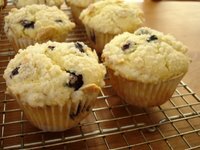 Well, maybe the chocolate chips and crunchy walnuts are the best part- and I'm not usually a walnut fan- but they are a must in these muffins. If you'd like to make a loaf, just follow the recipe exactly. For mini muffins, bake for 14-16 minutes, making sure to check after 12 minutes since you literally want a toothpick to come out with moist crumbs on it. If a toothpick comes out perfectly clean, then your muffins (or any cake or loaf, for that matter) are overdone. 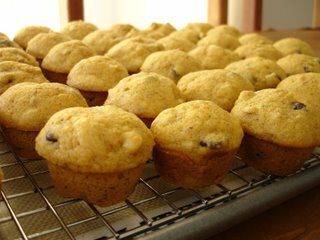 There's no denying that lovely Autumn feeling when the pumpkin, spice, nuts and chocolate in these muffins touches your taste buds! 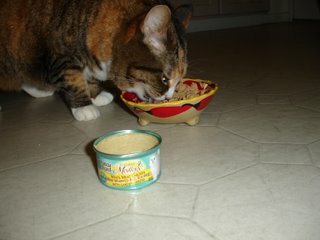 Since the previous entry was about cat food, I figured I'd better put in a real food post for my Dinner For One series. I've had a pack of cod in my freezer for over a month now. 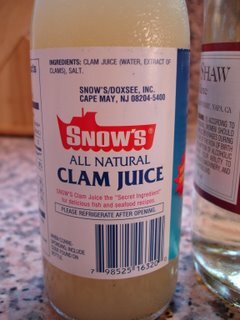 I bought it to have the next day...possibly serve it with lemon and capers, or maybe grill with some teriyaki sauce, but I just never got around to it. It's not that I'd forgotten about the poor fish...it's actually been nagging me in the back of my mind that I'd better use it before it turned into a freezer-burned brick. I just never got the cod craving after the initial thought, so there it sat, getting pushed further and further into the back of the freezer to sit, doomed, with the bag of lotus roots that moved in over three months ago. 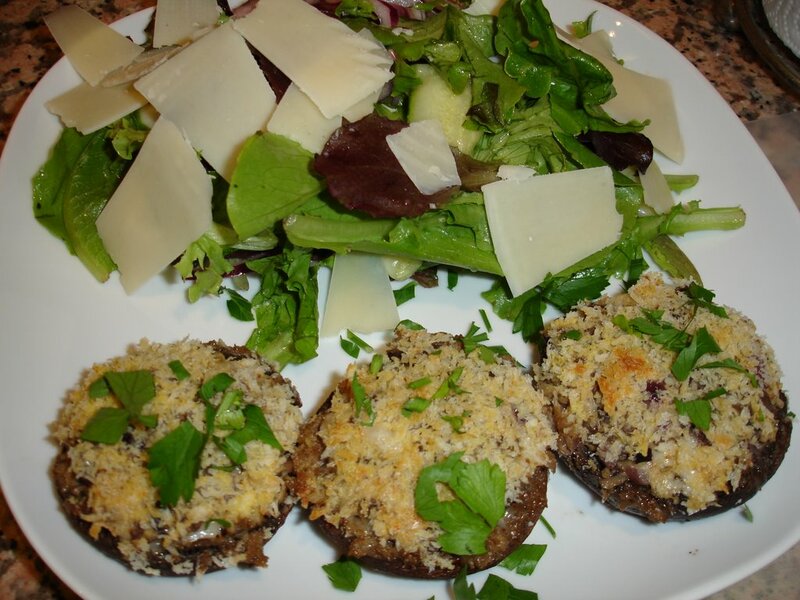 Then I was inspired when I was looking over one of my daily blog reads- Simply Recipes. She had posted her father's fish stew recipe and it just sounded so delicious, I couldn't wait to try it. The cod would finally see the world outside of the freezer! I loved that the stew was not cream based- not that I don't love cream soups but it's kind of scary to inhale that much dairy fat in one meal. I tweaked the recipe a bit by using leeks in addition to the onions, adding lots of fresh herbs and tossing some corn and one Yukon Gold potato into the mix. As the scent of white wine, thyme, garlic and oregano wafted through the house, I felt it was the perfect way to spend a Sunday afternoon. After turning off the heat and letting the flavors meld together, I poured myself a bowl along with a slice of toasted pumpernickel and had The Perfect Supper. 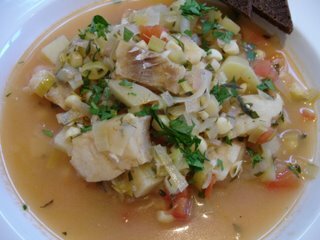 The cod was flakey and the white wine quite pronounced which complimented the sweetness of the corn and potatoes nicely. This will definitely go into regular rotation as the weather gets cooler. 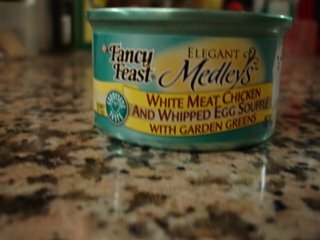 I'm sure it would be great with any white fish and any additional vegetables (carrots, peas, green beans) that you'd need to use up. I suppose a splash of cream wouldn't hurt it either- if you're in the mood for a creamier stew. A real keeper! Even though this makes a lot of stew, it's great to have in the fridge when you're at home alone for those nights you just don't feel like cooking. Of course I put 1/2 in the freezer so that J can try it when he gets home next week! 1 TBS of tomato paste. 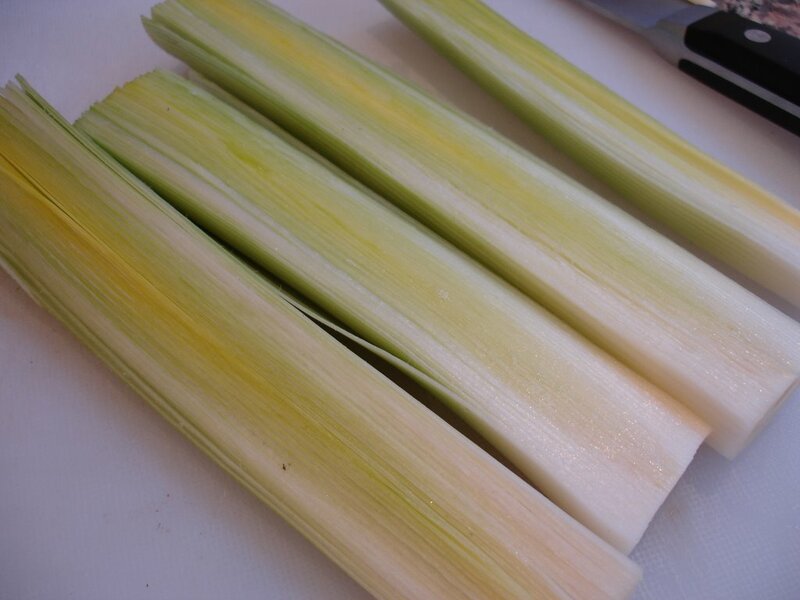 Heat butter and olive oil in a stockpot, add leeks and onions- sauté for 4 minutes until soft. 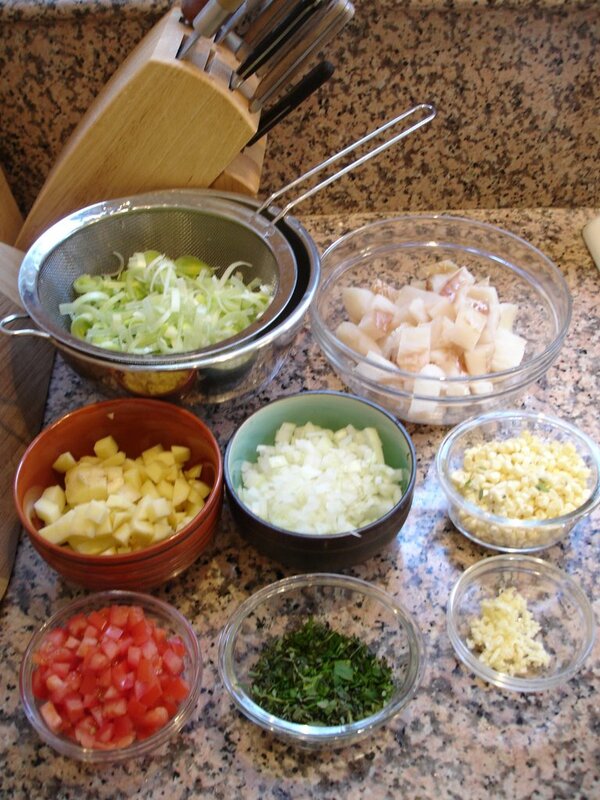 Add garlic, potatoes and corn and sauté for another 2 minutes. Add parsley, thyme and oregano, stir well. Add tomato, clam juice, white wine and tomato paste and let simmer for another 5 minutes, or until wine alcohol has evaporated. Add cod fillets and simmer for about 6 minutes or until fish has just cooked through. Serve garnished with freshly chopped parsley. I know I made a commitment to stay busy in the kitchen in spite of the fact that I'm basically cooking for myself for the next two weeks, but let's get real. 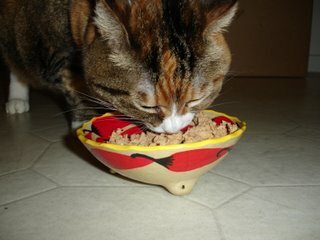 This lovely supper was not for me, but for my sidekick, Cory. My little (ok, not so little) Ms. Cory turns her nose up at most canned cat food (taking one bite and then leaving it), most people food and has never touched a drop of milk in her life. The only thing she consistently tries to get at are my salty, crunchy snacks. She absolutely loves osembe, crackers or chips of any kind. She also loves the smell of chocolate even though we can't feed her any. When I got a coupon for this new line of gourmet flavors from Fancy Feast, I was wary but wanted to see if this would be something that Cory would like. Judging by the way she wolfed it down, I'd say she definitely has gourmet taste! Mmmmmm, chicken with whipped egg soufflé and garden greens...me like! An ad for Fancy Feast? I ended up eating leftovers last night and will go out with my sister tonight I have nothing new to blog about in terms of people food. I plan to stay committed to cooking for one, but a girl can't turn down an invitation to dine at a beautifully fine restaurant now, can she?! Here is part two of my "Dinner for One" series that will hopefully keep me cooking in the kitchen even though my dear J is away. Last night I had a major hankering for something chicken and something tomatoey. 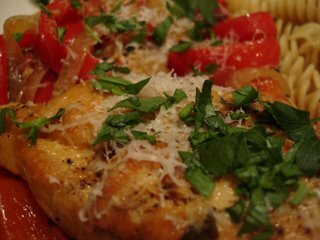 I saw Giada making some sort of tomato-based pork chop dish last weekend and had been thinking of making something similar with chicken ever since. Since I had purchased two perfect little chicken breasts at Mitsuwa, I knew it was time to start cookin! then basically made it up as I went along and added a pinch of oregano here, some chopped garlic there....splashed it all with a generous pour of white wine and let it all simmer for a good 25 minutes. A small side of whole wheat pasta, a fresh green salad and a sprinkling of freshly grated parmesan finished the meal. It was lovely and I'm happy to say that I have the second chicken breast waiting for me at home....swimming in all of that tomatoey goodness!! After supper I decided to make some chocolate cupcakes for my good friend T to cheer her up. She just found out that her parents are divorcing after 36 years of marriage. THIRTY-SIX YEARS. T is the Queen of Chocolate, so I thought that some serious baking was in order to at least try and cheer her up, if that's even possible in such a situation. There goes the can of Hershey's syrup! I had seen Barefoot Contessa (yes, I watched waaay too much Food Network last weekend!) 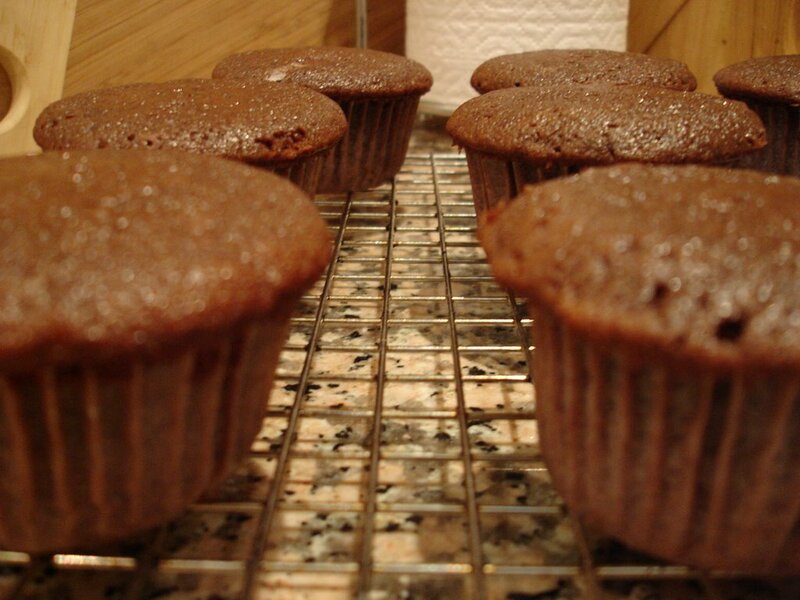 make some chocolate cupcakes where the chocolate was simply an entire can of Hershey's syrup and was instantly intrigued. Although she topped her cupcakes with ganache, I was so focused on the can of Hershey's and totally forgot to buy any additional chocolate for the topping. This is where one starts to rummage through the cupboards and tries to figure out an alternative. I had powdered sugar, so I figured an icing might be nice....and then remembered yet ANOTHER thing I had seen on Food TV (no, I don't work for them). 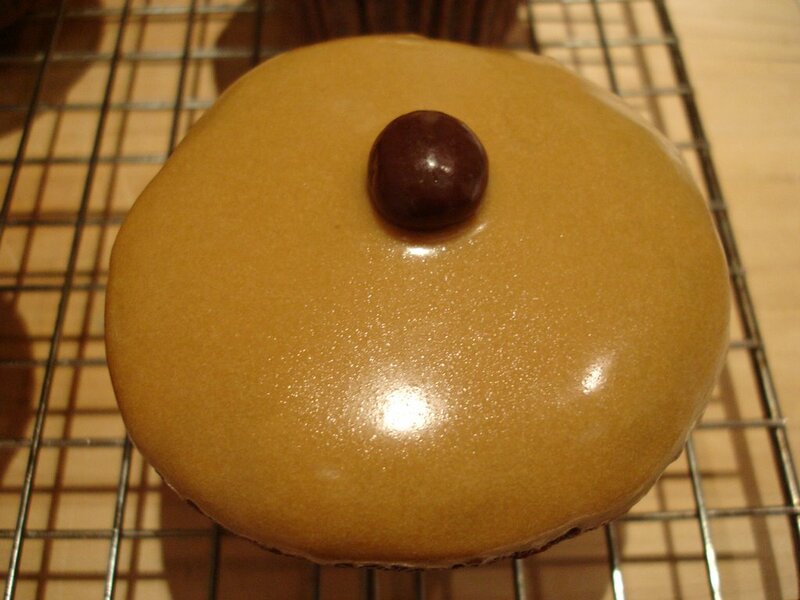 Espresso icing- how perfect for chocolate cupcakes! I had instant coffee, water (of course), the powdered sugar, vanilla and butter, which is all it took to make this. 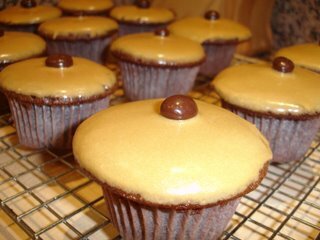 To top it all off (no pun intended) I had chocolate covered espresso beans in the freezer with which to,er, top off the cupcakes. As I made the icing, the smell of the coffee mixed with the rich chocolate scent was absolutely intoxicating. No wonder it's such a classic combination. The icing was one of the glossiest and easiest-to-handle that I'd ever made. I couldn't resist and tried one- the crumb was so moist that it was almost like a light brownie, and the icing was rich and delicious. This is definitely going on my favorites list. I left them in a Tupperware on T's desk, and she came to me an hour later and exclaimed "Those are the BEST cupcakes I've ever had in my entire life!" That's quite a statement....especially from such a choco-holic! 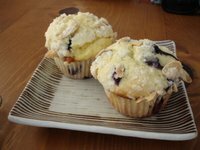 I hope you get a chance to try these- they are truly wonderful, and you get your cake and coffee in one dessert! You can find the recipe for the cupcakes here. 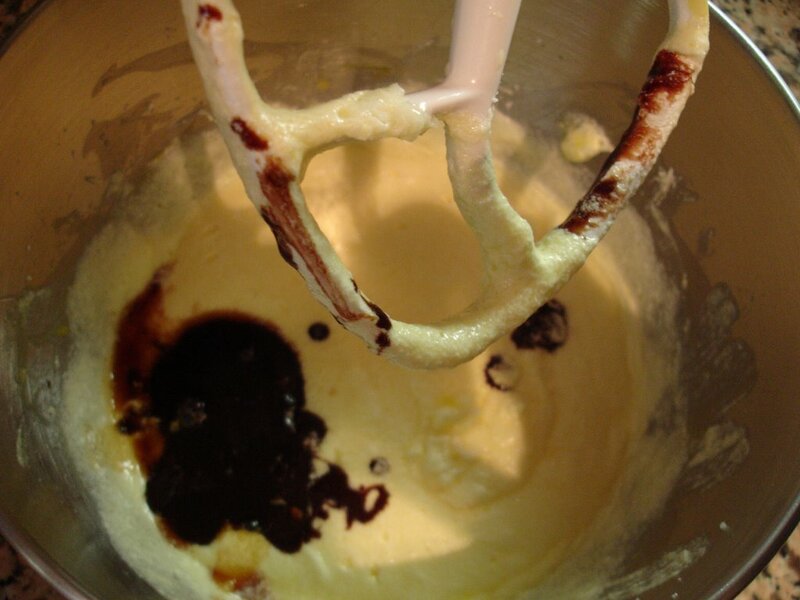 Dissolve the coffee or espresso powder in the water, add vanilla, butter and sugar and whisk to combine. Add more water to thin or more sugar to thicken as necessary. Dip cupcake tops into icing and let set for 30 minutes. In medium skillet, heat oil. Generously salt and pepper chicken breasts on both sides. Sear in hot pan for 3 minutes per side, set aside in a dish. Add peppers, onions and garlic to pan and sautee until softened, about 3 minutes. Add herbs and white wine, scaping browned bits at bottom of pan. Add canned tomatoes and chicken stock. Add the chicken back into pan, bring to a simmer and cover with lid. Simmer for 20 minutes. 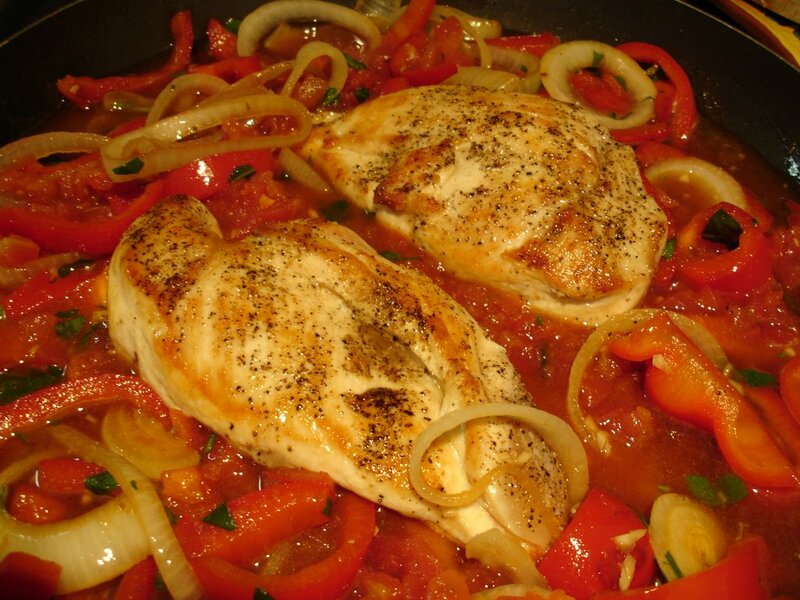 Take chicken breasts out of pan and heat liquid/peppers/onions on high until sauce is slightly reduced. 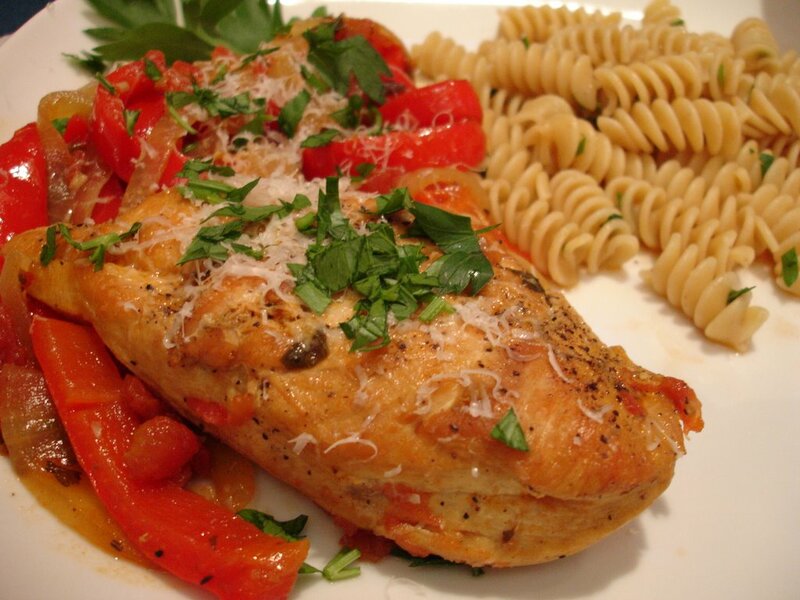 Serve with pasta, chicken, sauce and grated parmesan + parsley. Enjoy! In an attempt to still stay active in the kitchen while J is away, I've decided to start a little series called "Dinner for One." That way, at least I will force myself to actually cook something instead of heating up a frozen meals. 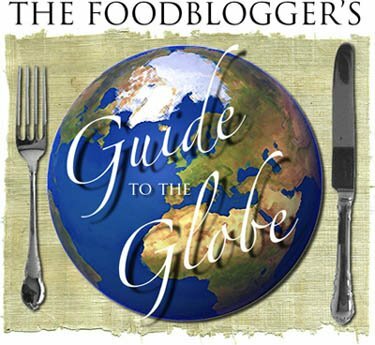 I can't promise that I'm going to make myself a four-course meal each night, but I definitely want to try and have a blog-worth meal and avoid the frozen stuff as much as possible! 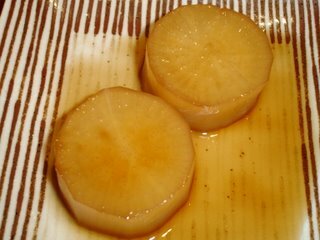 The daikon is one of my favorites and so easy to make. It's healthy, warming and delicious by itself or even with a little swipe of some spicy Chinese mustard (which I didn't have, unfortunately!). I'll post the recipe below. In other news, I was a first-time participant in this month's "Blogging By Mail" event hosted by Dispensing Happiness. We were asked if we wanted to ship internationally or domestically, as well as to send a list of anything we didn't like foodwise. I ended up sending a package to sour times in Vancouver, Canada and received a package from Fallen Soufflé in North Carolina. Initially I was a bit confused because I just assumed that I'd be receiving something from someone outside of the USA since I shipped outside of the country. However, it certainly was a pleasant surprise when a box showed up at my doorstep containing a bunch of goodies but a nice note as well. 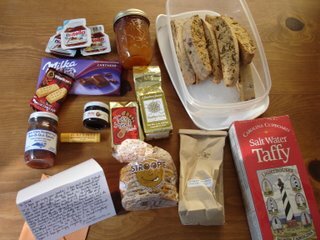 Jennifer sent me some salt water taffy, barbeque sauce, coffee, apricot tea and Burt's Bee's lip balm from North Carolina, in addition to things that she and her husband had picked up on their travels: Nutella, Stroopies (waffle cookies w caramel), cherry jam, Walker's Shortbread and chocolate. She was also kind enough to bake me some biscotti and send a jar of her homemade peach preserves- I can't wait to try it on ice cream!!! So thank you, Jennifer, for sending such a thoughtful package. I'm already enjoying the stroopies and biscotti and am eager to try the barbeque sauce. 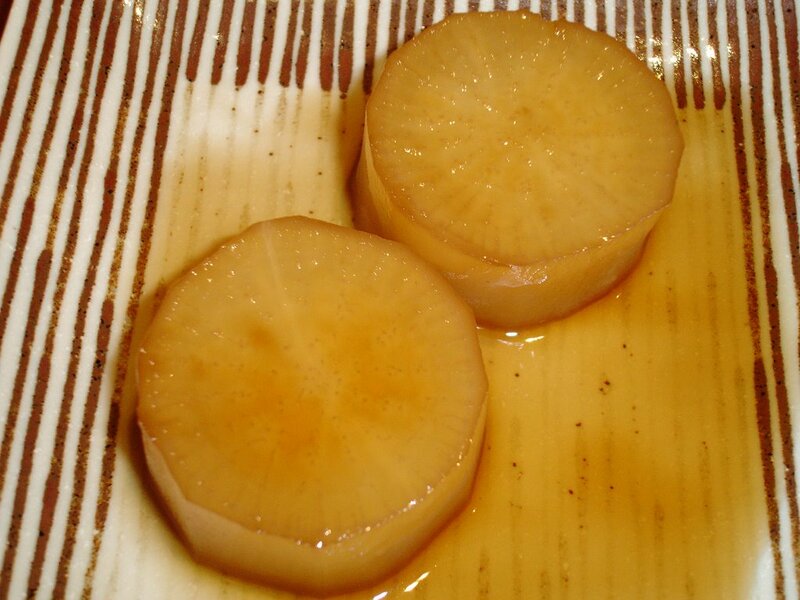 In a medium saucepan, put daikon in single layer and cover with the 1 1/2 cups water. Bring to a boil. Add remaining ingredients and bring back to a boil, then turn heat down to medium-low. Cover saucepan with a drop-lid (or cut a round of foil that is just the size of the saucepan and put it directly onto the simmering liquid so it covers it) and simmer for 35 minutes. Serve with a bit of the liquid and hot mustard if desired. I've been tagged by Dylan of Eat, Drink & Be Merry for the "Five Things To Eat Before You Die" meme. It started with The Traveler's Lunchbox and has spread like wildfire in the food blogging community. With so many great things to eat out there, how do you narrow it down to just five food that you think EVERYONE should eat before they die? 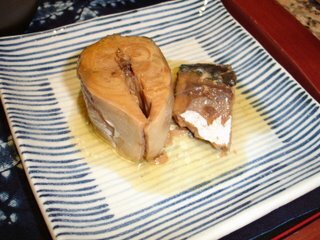 It was hard, but I went with the foods that not only taste fantastic, but also created great memories for me. So here's my list! I adore croissants. LOVE the little flaky pastries. But what they call croissants here in the US are certainly not even close to the light, buttery goodness that the French call by the same name (albeit with a much cooler accent). The so-called "croissants" here come in all weights and sizes. Some are chewy and dense (sacrilege! 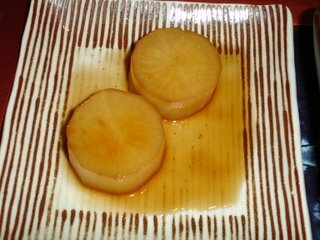 ), others are crispy but flavorless. 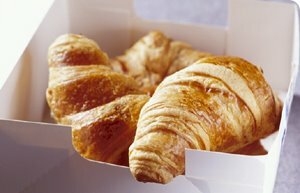 When I finally had one in Paris and another in Nice, I realized that the true croissant is almost weightless in it's millions of buttery layers. In fact, you should be able to smoosh an entire one in your mouth with no problem (not that I'd ever do such a thing.....). There is no squishy or unbaked middle and tastes almost entirely of freshly churned butter. I wish I had one right now! Malo is certainly not a traditional Mexican restaurant. It's more like a hipstered-out version and serves all small plates-style Mexican food. Although most of the menu items are good, their freshly fried flour tortilla chips and burnt habanero crème will start an addiction. Unlike most Mexican restaurants, you must order the chips at Malo's, but they're WORTH every penny. The still-hot, slightly chewy and crunchy chips are the perfect vehicle for the smoky, spicy and decadently creamy "salsa." I'm sure my arteries get pissed at me but I can't NOT order these when I'm at Malo. 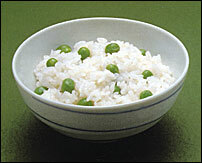 You see, us Japanese have this thing for rice. Even though I spent more than of my life here in California, I have that thing. When I was about fourteen and already Americanized, we went back to Japan to visit my grandparents. My sister and I asked our Japanese friends what their favorite food was. They said "gohan." We said "Big Mac, or gohan?" and they said "gohan." "Chocolate sundae or gohan?" and yet again, they said "gohan." "Hot dogs, pizza and candy or gohan?" and they repeated robotically, "gohan." Being the American kids we were, we thought they were out of their Japanese minds! Well, after seven years of living in Tokyo in my 20's, I, too, have caught the gohan bug. Even though I grew up eating it, I don't think I got that itch until living there again. I'm sure my fellow Asians would understand- I can't go too long without rice. I can't NOT eat rice if someone serves me stir fry, sashimi, Japanese pickles or anything seasoned with soy sauce. It's automatic- take bite of soy sauce-seasoned food, take bite of rice. Take bite of katsu with tonkatsu sauce, take bite of rice. Give me a jar of furikake (a Japanese condiment meant to be sprinkled on rice) and I could eat an entire room full of rice. 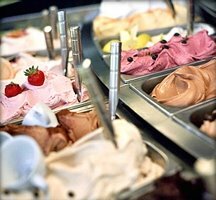 I had yogurt gelato for the first time when J and I went to Nice last summer. I instantly fell in love with the nostalgic flavor...it reminded me so much of the Japanese yogurt I grew up eating. 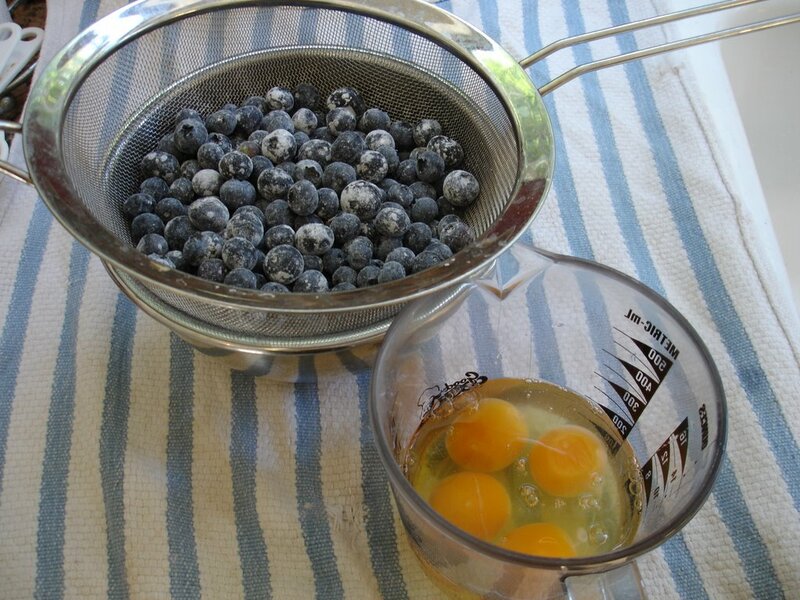 Slightly tangy and not-too-sweet, it is the perfect snack on a hot day. I think J and I went back to the same gelato stand everyday for four days straight just to get another cone full of that gelato. I've never been able to find a yogurt-flavored gelato of that quality here in Los Angeles but the recent crop of healthy frozen yogurt places gives me hope. 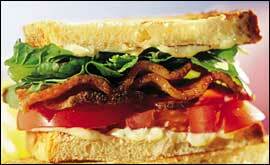 5) A really great BLT sandwich. I guess this sounds simple, but I think the flavor and texture combination of ripe, red tomatoes, crispy, salty bacon, fresh lettuce, creamy mayonnaise and great, white bread is perfect. Throw in a couple thin slices of creamy avocado and life doesn't really get much better than that, now does it? Perch all of the ingredients on slices of lightly toasted brioche slathered with homemade mayo and you may just die and go to heaven. I've heard from numerous sources that this exact sandwich lives on the current lunch menu at Lucques, so I may just have to take a trip there, soon. Although I've never had their version, I have had great BLTs in my life and I do feel that it is the perfect sandwich when made with great ingredients. I'm tagging Blue Lotus and Erin's Kitchen if they haven't already been. I used to order crab cakes at almost every restaurant until one day I realized that I'd had way too many mushy-with-too-much-filler-not-enough-crab nuggets than anyone should ever eat in a lifetime. My dad's version will always be J and my favorite, but I had never really attempted my own version....until last night. I hardly ever buy lump crabmeat due to the cost, but on my recent trip to Trader Joe's I spied a big can of Byrd Premium Crabmeat in the refrigerated section that caught my eye. 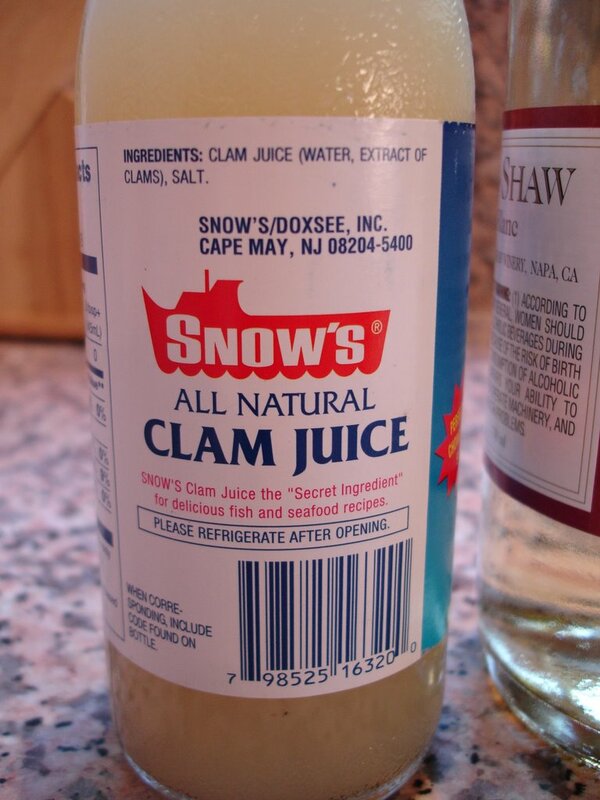 It wasn't the jumbo lump crabmeat that you see at a Gelson's or Whole Foods which come in a tub and hover around $30, but the large blue can did look promising and proclaimed that it was filled with fresh claw meat. When I found out that the one pounder cost $7.99, I was sold, and so was the can of crab......to me, of course;). Last week I ended up using half the can to make a crab salad. Toshi, our regular sushi chef at Z Sushi, always makes a crab or tofu salad lightly dressed with the most insane yuzu/soy sauce dressing and I wanted to try and recreate it. I simply took a good quality wafu (Japanese) salad dressing and mixed in some yuzu kosho (yuzu pepper) and it came pretty darn close to Toshi's. Drizzled over a bed of mixed spring greens piled high with crabmeat, it was a beautiful supper! Back to last night. 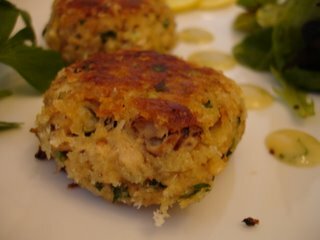 I had a 1/2 pound of crabmeat left so I decided to give crab cakes a go. I just sort of went with flavors that I've enjoyed in crab cakes in the past and they came out really well! 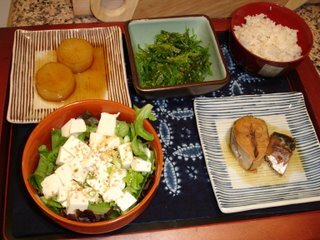 I was very pleased since yesterday I was bemoaning the fact that I hadn't really cooked in awhile, and it's always nice to create a recipe of your own that tastes good. I served the crab cakes with a mixed green salad and a quick aioli made by combining some sweet/hot mustard, fresh dill, a splash of champagne vinegar, a spoonful of mayo and a drizzle of olive oil. They came out so well that next time, I'll use the entire can of crab and make a few extra to freeze for a rainy day. 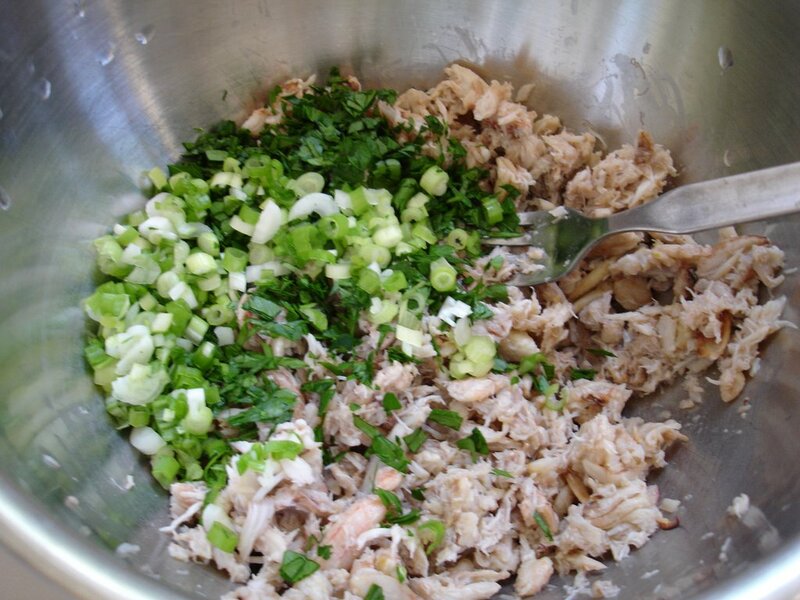 In a large bowl combine crab meat, green onions, parsley and lemon zest- toss together and set aside. Mix remaining ingredients except panko breadcrumbs in a separate bowl and whisk until well combined. 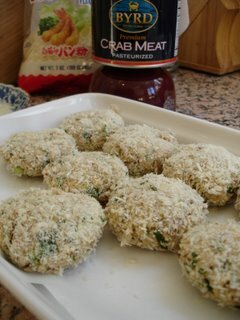 Gently fold mustard mixture into crab meat mixture, then add panko breadcrumbs until it's not too dry but not too wet- just moist enough to form patties. 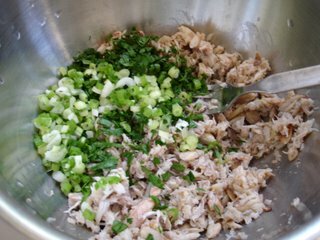 Take 1/4 cup of the crab mixture and gently and lightly form into balls- you don't want to pack the meat tightly. 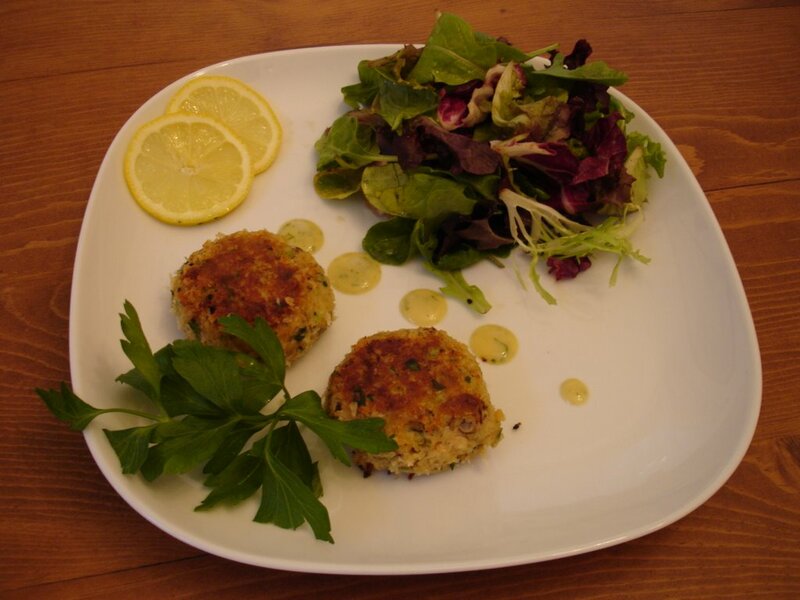 Press down to form a patty, dredge in panko and set on a parchment covered sheet pan or plate. Repeat with remaining mixture, then chill in the refrigerator for at least one hour. (Can be made up to this point a day ahead). In a large sauté pan, heat 1 TBS of butter with 1 TBS of olive oil and heat until hot but not smoking. 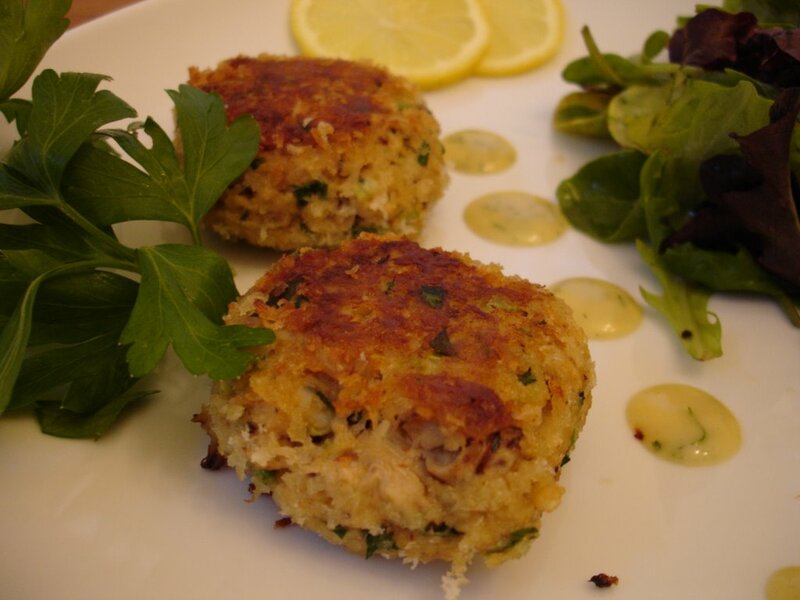 Add the crab cakes- being careful not to overcrowd the pan- you will probably have to make these in two or three batches, depending on how large your pan is. 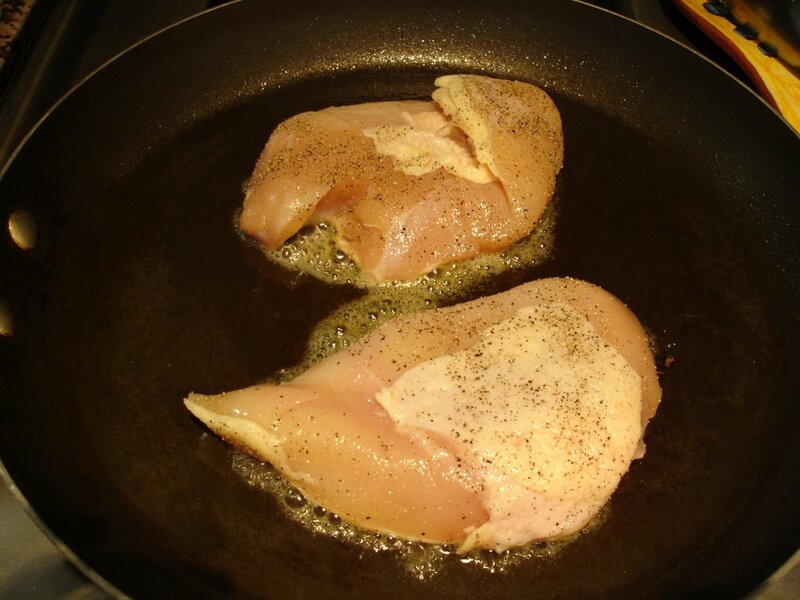 Sautee for 3 minutes per side until both sides are golden brown. Serve with your favorite cocktail sauce or aioli. 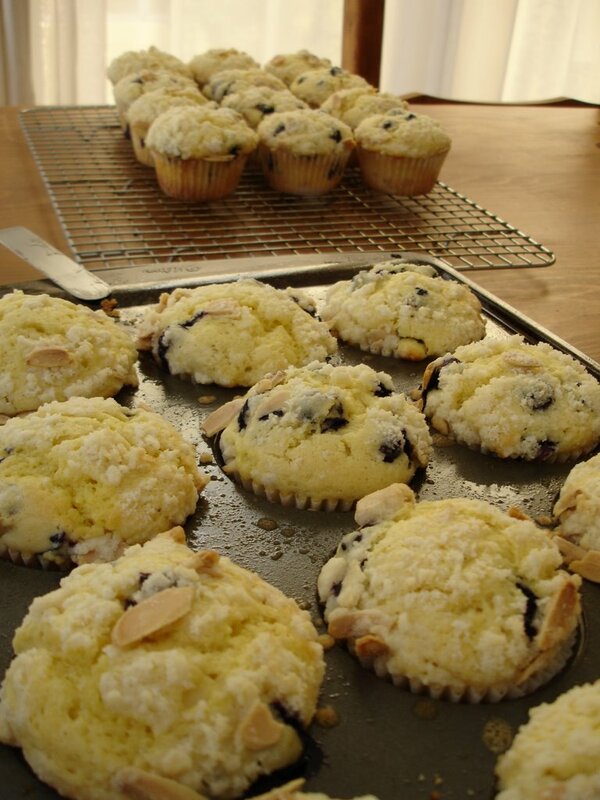 Lemon Blueberry Crumble Muffins and So Many Recipes, So Little Time! Now that the weather's cooled down a bit, I've decided to put my apron back on and roll up my sleeves in the kitchen again. I feel a bit guilty about not really having made much in the last couple of months and I just miss cooking in general. I knew I wanted to make something for my coworkers and, after seeing an episode of Barefoot Contessa in which she makes a giant batch of blueberry muffins, felt inspired to do the same. 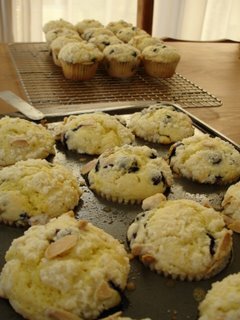 I searched several cookbooks and finally settled on Martha Stewart's Blueberry Muffin recipe, which I tweaked by using buttermilk instead of milk, adding a bunch of lemon zest and capping each muffin with a strudel topping. Spending a couple of hours in my kitchen surrounded by the sweet smell of blueberries and lemons made me feel whole again. As J sat in the living room watching football, I thought about how the end of summer is right around the corner. After all, what signals the coming of Autumn than NFL games on TV and something sweet baking in the oven? When I was trying to figure out what to make, I ended up going through many of my cookbooks that I hadn't looked at in awhile. There are so many recipes- in magazines, books and now all over the internet- sometimes I feel overwhelmed by it all. So many recipes, so little time. I wonder if my fellow cooks out there feel the same? I love nothing more than to sit on my sofa on a Sunday and flip through cookbooks daydreaming about creating the gorgeously photographed meals.....but once again- which ones to make first? Do I have all of the ingredients necessary or am I going to drop $50 just to purchase the six spices I don't happen to have in my already overflowing spice cabinet? Does any of this make sense?! I don't mean to sound like crazy woman but for some reason it struck me yesterday. Even if a recipe turns out extremely successfully, I probably won't make it again for over a year (if at all!) since I'm always tempted by the glossy photos in this months Gourmet and have a long list of recipes I've yet to try. And who can forget all of the fabulous recipes posted by various bloggers? I admire food bloggers like Joe who not only make something new each day but actually document each and every meal. The Wednesday Chef is a wonderful account of someone who cooks everything from a NY Times or LA Times Food Section recipe. I wish I could be as organized! 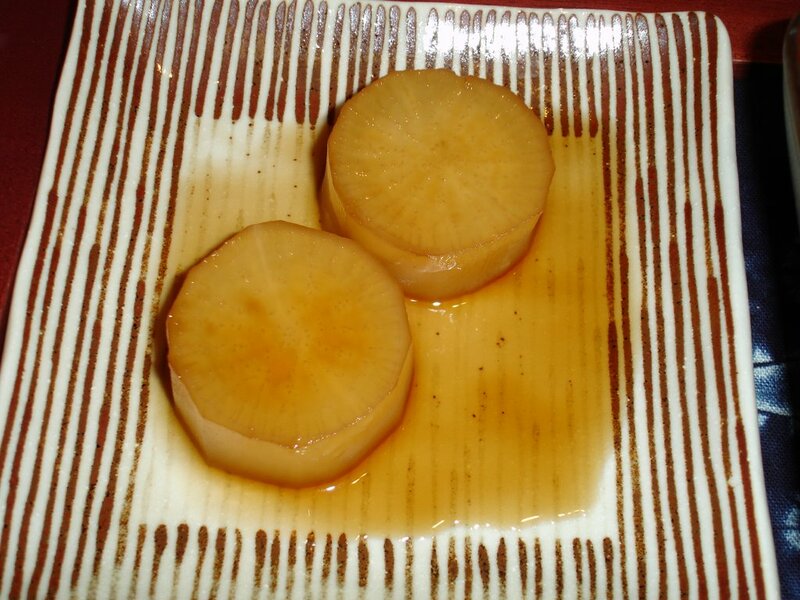 I don't know why I feel so anxious thinking about when to make what and will I ever have enough time to make gyoza with homemade skins or get around to buying cannele molds so that I can try and create the amazing little cakes that are a favorite of mine. I guess I should simply do what my dad does- ask myself, "What do I want to eat?" It's quite easy, isn't it? We'd have smothered chicken or lasagna if he was feeling comfort food, chicken stir fry with cilantro and cashews if he was feeling Chinese....I suppose if you have the ability to cook well, then you can certainly cook to please whatever taste you may be having at a particular moment. 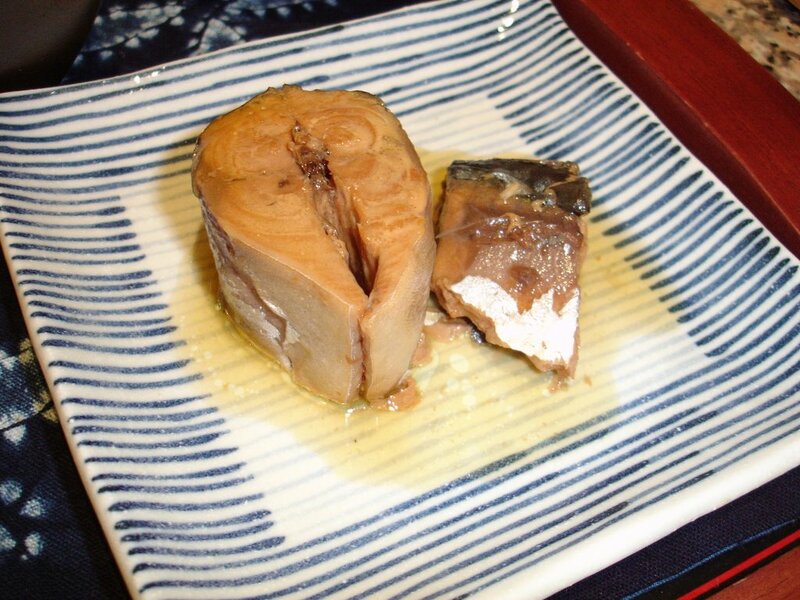 Of course pouring over cookbooks is a great education- there are foods out there that you'd love to eat that you didn't even know existed until you saw it in a book. However, the easiest way to figure out which recipe to try or what to whip upis to just ask yourself what you want to eat, and go from there....which I'm going to make a concentrated effort on doing from now on.